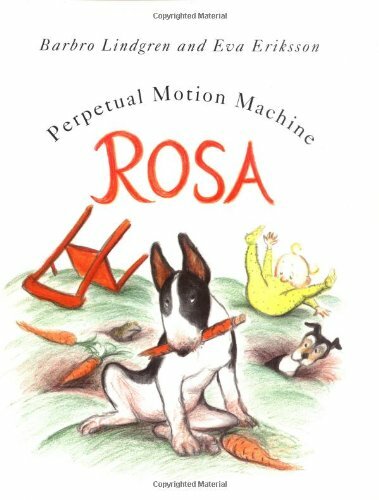 Rosa the dog frequently wreaks havoc but she's not always bold and is easily frightened. When a sudden storm scares her while she's out on a walk she runs away and finds herself cold, lost and terrified. Will anyone find her? Wreaking havoc in the lives of her new family with her love for biting legs, tearing trousers, and digging holes, Rosa the dog has a terrible day when she breaks away from her hated leash and gets caught in a thunderstorm.